The Enrich Ministry exists to help every follower of Christ become financially healthier and spiritually stronger through the message of Biblical Stewardship. Central's Financial Ministry offers the opportunity to meet with an Enrich Financial Coach for individual help with your finances. 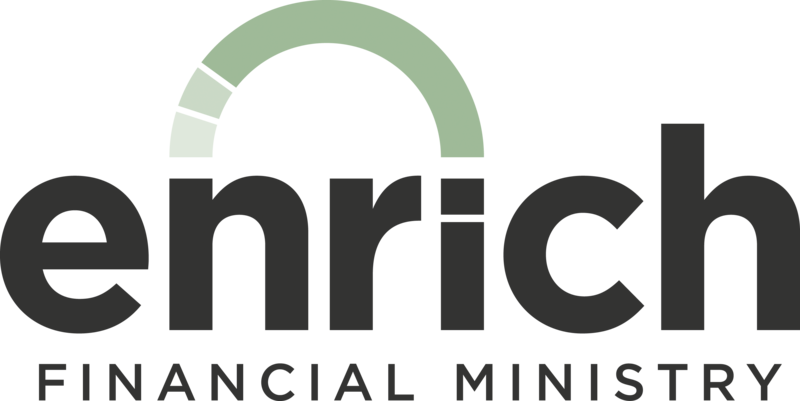 The Enrich Financial Ministry is partnering with Central's Life U to present an 8-week series called, "Finding Financial Freedom - Eight Decisions That Determine Your Financial Future." And a host of other critical topics to help you improve your financial lives. If you are unable to attend all of the sessions, know that each one can "stand alone". However, in order to get the most of this series, please attend as many sessions as possible. Financial Peace University will help you take control of your money, plan for your future, and transform your life. This 9-week video session is open to everyone. People attending will need to purchase a Financial Peace University "materials kit" for a discounted price of $80 per family (normally sells for over $100). Mesa Campus: Starts February 28th from 6:30 pm to 8:30 pm. Will continue every Thursday night for 9 weeks. Ahwatukee Campus: Starts February 25th from 6:39 pm to 8:30 pm. Will continue every Monday night for 9 weeks. Additional FPU Roundtable Groups (a smaller group of people embarking on the FPU journey together) will be launched at any of our 5 campuses as soon as we have 14-16 people interested in participating. This is also a great opportunity for a Life Group to conduct and FPU session during their normal meeting time. This class is a must for every parent of teenagers! Now is the time to begin making plans to help your student get a college education without taking on the crippling burden of long-term debt. Many college graduates have discovered that borrowing large sums of money for college is extremely easy, but paying it off is much harder than expected. Attending this class could save you and your students years of frustration paying off huge college loans. Explore the important financial aspects of college. Learn how to avoid huge college debt. Gain insights on how to choose the right college. This class was recently held and will be offered periodically in the future. When the next session is scheduled it will be posted here. This two-hour class is designed to be a step-by-step walk-through of how to construct a workable family budget. All materials and forms will be provided and there is no cost to attend. The class is open to anyone so feel free to invite your family and friends. Mesa Campus: May 2nd @ 6:30 pm in the conference room off the Mesa Cafe. MoneySmart is designed to help everyone discover ways to improve their financial lives by focusing on the Practical, the Spiritual and the Emotional aspects of money. This three-week series is being presented on our Gilbert and Queen Creek campuses, and is also available in a six-week Life Group version on DVD. Saving is important to accumulate financial margin, but then the question is, "What do I do with the money I have saved?" This class presents the basics to help you not only understand financial investments but to make wiser decisions about where to invest. It is conducted in two sessions and is offered periodically at our Mesa and Gilbert campuses. Many people get to retirement age and wish they had done a better job of preparing for the next phase of their lives. It is never too early to begin developing plans to ensure financially healthy retirement years! This 90-minute class seeks to help lay the foundation for a well-planned for retirement, whether that will happen in the near future or is still years away. There is no cost and it is open to everyone. Mesa Campus: May 9th from 6:30 pm to 8:00 pm in the Discover More Room. This seminar will provide valuable strategies for teaching and training your kids to have a healthy, biblically-based perspective of money and to learn to manage it wisely at an early age. This class teaches how to build a strong, healthy financial future and leave a positive legacy for the next generation. Dave's emphasis on financial health in the context of biblical principles will provide the foundation for a prosperous future. This class is taught in seven video sessions on our various campuses. It is, however, perfectly suited for a Life Group environment. If your Life Group is interested feel free to contact us. The class is led by Gary Small, a business owner and leader who has a heart for helping business leaders to experience the power of God in the workplace. Enrich regularly makes available the opportunity to obtain a Will or Trust at no cost to you. This is a great opportunity since many people who know they need a will or a trust put it off due to the cost involved. Our only request is that you seriously consider leaving at least a small portion of your estate to the Church to help further God's Kingdom. The process involves attending a 75-minute seminar to learn about wills, trusts, and estate planning and a one-on-one session a couple of weeks later to create your will or trust. Meets at the Gilbert campus monthly. Central's Business Directory is accepting registrations for the online and print versions of the business Directory.